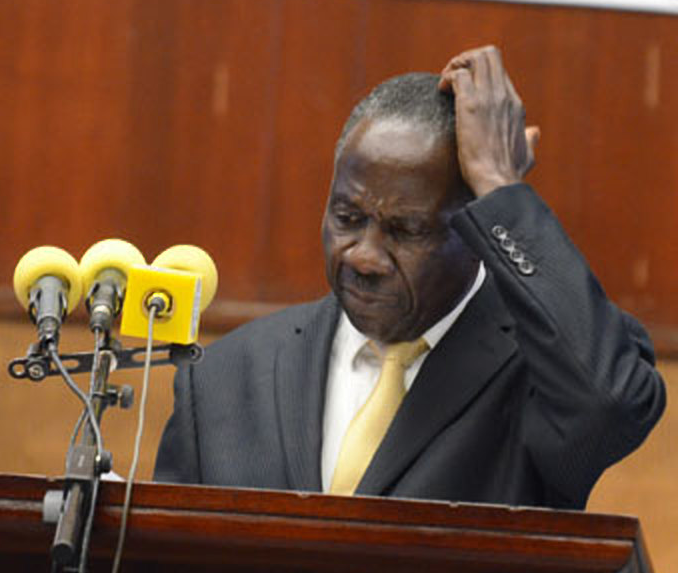 KAMPALA- The Minister of Finance, Planning and Economic Development, Mr Matia Kasaija, has said many Ugandans who are keeping money in their homes are stifling the country’s economic development. Mr Kasaija said such money is normally acquired through corruption and the culprits don’t want to be detected should they use the formal banking system. “Corruption is cancer that has eroded billions of money from the economy. I have known people who have stolen even in their own private companies. Somebody was telling me people keep billions of shillings in their houses; what if thieves break in the house or if it catches fire,” he said. “Hiding away the money in homes has reduced the money available for banks to lend to other Ugandans to carry out other economic activities,” he added. The minister was addressing accountants at the financial reporting (FIRE) awards on Wednesday. He warned young accountants against corruption saying many are eager to become rich illegitimately saying much as he is not opposed to becoming wealthy, they must accumulate wealth through accountable means. Mr Frederick Kibbedi, the president of the Institute of Certified Public accountants of Uganda, warned accountants against fraud, saying they will start publishing names of fake accountants, those who have been subjected to disciplinary processes and each case will have consequences including deregistration and incarceration. “We mean it. The 2013 Accountants Act mandates us to kick out those occupying spaces of accountants illegally. We shall witch hunt witch-accountants and shall deal with those who sign off falsified accounts,” he said. A 2017 Bank of Uganda survey indicates that most people prefer to keep their money at home. “Ugandans still have a poor saving culture, 51% of Ugandans who try to save prefer keeping money in a hidden place in the house, this is a bad practice because the money is not safe, it can be misused or stolen. We are calling upon the public to get into the habit of saving with regulated financial institutions,” said James Ivan Ssettimba, the bank of Uganda deputy director financial inclusion division. Ssettimba also noted that if money is at home in your bags or drawer, it loses value as it sits there. Even the less-than 1% interest it would earn in a standard savings account is better than the 0% you would get by keeping your money at home.